A type of mineral found in the soil, selenium is a key mineral required for metabolism. The mineral is naturally found in water and several foods and is required for longevity and  optimal health. The trace mineral is beneficial for improving your immunity and as it is an essential mineral, it has to be obtained through foods. The selenium requirement of your body is in small quantities, however, it is critical to the proper functioning of your body. The mineral is of two types, organic and inorganic. That is, selenium can also be acquired through  supplements. And both the types are equally beneficial for your body. Regular consumption of selenium helps create a protective layer around your body, which helps guard your body against various  diseases and illness. From improving your metabolic activity to limiting early ageing signs, selenium can be considered as a critical mineral relevant for your body and mind. Selenium is safe to be consumed by children and adults. Consuming foods that have a naturally high content of selenium helps benefit your body in various ways. Some of the natural sources of selenium  are mentioned below (amount per 100 gram). chia seeds contain 55.2 micrograms. The recommended dietary allowance (RDA) of the mineral describes the amount of selenium that has to be consumed on a  daily basis. It can be acquired naturally or through supplements. The maximum limit of selenium in safe dosage is 400 micrograms a day in adults. Any amount more than that will cause an overdose. From acting as a protection against cancerous cells to improving cognitive function, the mineral is highly advantageous to your body. Consuming selenium-rich foods help boost your cardiovascular health. Being anti-inflammatory in nature, the mineral helps increase the  blood flow, and destroy the harmful free radicals that cause oxidative stress. Studies have shown that selenium aids in reducing the chances of heart diseases. When combined with other nutrients such as vitamin E and beta-carotene, the mineral contributes towards normalising the  cholesterol levels. It also helps improve the levels of the antioxidant glutathione peroxidase and reduce the levels of oxidative stress in your body. Selenium restricts the accumulation of plaque in the arteries, and limits the onset of  atherosclerosis. By boosting the levels of glucose in your body, selenium helps in regulating the metabolic processes. Consuming selenium is helpful for an individual suffering from  diabetes as it helps produce an adequate amount of insulin required and thus reduce the levels of oxidative stress. This can help cure issues such as retinopathy, cataracts and neuropathy. Selenium is known to improve fertility in both men and women. It helps improve the blood flow to the reproductive organs and  maintain proper sperm motility. Regular consumption of selenium-rich foods or supplements aid in improving the sperm locomotion as well. Low selenium concentration can result in male infertility. Likewise, the antioxidants in selenium improve the sperm's chances of  fertilising the egg. Currently, various studies have been conducted to examine the relationship between selenium deficiency and  thyroid function. Selenium helps in maintaining hormones related to the functioning of the thyroid glands. The mineral carries out the conversion of the T4 thyroid hormones to T3, which is critical for the proper functioning of your body. Selenium functions as a protector of the thyroid by regulating the production of reactive oxygen within the  gland. This acts to protect the gland from antibodies that can develop thyroid diseases. Selenium functions as an immunity booster and protects your body from various diseases. The mineral is critical for the  regular functioning of your immune system and can restrict the development of harmful viruses, such as HIV. The antioxidant property of the mineral helps in reducing the inflammation and oxidative stress, giving way for an  improved immune system. Studies have revealed that individuals suffering from  HIV have shown an improvement on using selenium, as it has slowed down the progression of the viruses. Various studies have been conducted to study the impact of  selenium on reducing the risk of cancer development. It is asserted that the mineral is effective in reducing the risks of mortality caused by cancer and cancer incidence. The mineral is said to have more impact on restricting the onset of colorectal, prostate, liver, and lungs cancer. By attaching itself to protective antioxidants like  glutathione, selenium reduces the risks caused by the cancerous cells to the DNA, thereby stopping the spread of cancerous cells and  tumour growth. Regular consumption can help improve your psychological health. In the current scenario, almost every individual suffers from stress. The increasing levels of stress can inherently cause a decline and deterioration to your stable mental health. Regular consumption  of selenium is pointed out to have a positive impact on improving psychological health. It is also proven to have improved the mental health of individuals suffering from depression as well. As aforementioned, selenium is proven to have a positive impact on improving an individual's mental health. Neurological diseases such as  Parkinson's and Alzheimer's disease are believed to be results of oxidative stress, along with other factors. Individuals suffering from Alzheimer's are proven to have a selenium deficiency in their  bloodstream. Supplementing the mineral into the individuals' daily diet has shown positive results such as improved verbal fluency and other physical functions. It also functions to reduce the risk of developing neurological diseases. Individuals suffering from chronic asthma have very low levels of  serotonin. Studies conducted on the topic have revealed the relationship between the two and pointed out that on consuming selenium supplements the symptoms have reduced predominantly. Selenium helps reduce the inflammation in the airways as well as the oxidative stress and help  improve the breathing. Selenium is extremely beneficial and critical for your health. The mineral helps improve your life expectancy by improving your immunity, fighting off  diseases among various others. From arthritis to asthma, the uses and benefits of selenium is plenty. Consuming selenium helps your body from being affected by critical conditions like heart diseases and thyroid disorder. Being antioxidant and anti-inflammatory in nature, the mineral defends your body from  succumbing to serious ailments. Selenium actively fights off the free radical cells present in your body. It destroys the free radicals that damage the cells and  prevents the onset of wrinkles, blemishes and other signs of ageing from appearing. It also helps your skin from being affected by the oxidative stress. The antioxidants in the mineral are beneficial in keeping your skin young and healthy. Selenium works wonders on improving the quality of your skin. It is extremely  beneficial in treating and getting rid of acne. It is considered a natural treatment for curing acne, as selenium helps to unplug the plugged pores on your skin. Selenium supplements work wonders in protecting your hair from any damage. It not only boost your hair growth but also reduces dandruff. Selenium  is a major component in many of anti-dandruff shampoos due to its ability to destroy dandruff causing fungus Malassezia. The mineral also strengthens your scalp and thus help reduces hair fall. It is also beneficial in treating grey hair. Selenium helps your body by getting rid of the unwanted toxins and keeping  it healthy. The mineral detoxifies your body to get rid of the harmful wastes accumulated from environmental damage and processed foods to keep your organs healthy. It fights the heavy pollutants that can cause  various diseases. Selenium is necessary for your health. But, it has to be consumed in a controlled manner so as to get the benefits out of it. Excessive consumption of selenium can cause various dangers and is toxic. Avoid consuming too many Brazil nuts due to its high  content of selenium. Avoid consuming selenium if you are using medications and supplements such as chemotherapy drugs, niacin, antacids, cholesterol-lowering drugs or birth control pills. Selenium toxicity usually occurs from selenium  supplements and not natural selenium. The signs of selenium toxicity include facial flushing, dizziness, nausea, hair loss, muscle soreness, tremors and vomiting. Avoid consuming selenium if you are pregnant or breastfeeding. Do not feed selenium to  infants. In severe cases, it can cause liver complications, serious intestinal and neurological symptoms, kidney and heart  problems. Rotruck, J. T., Pope, A. L., Ganther, H. E., Swanson, A. B., Hafeman, D. G., & Hoekstra, W. (1973). Selenium: biochemical role as a component of glutathione peroxidase.Science,179(4073), 588-590. Rayman, M. P. (2000). The importance of selenium to human health.The lancet,356(9225), 233-241. Rayman, M. P. (2012). Selenium and human health.The Lancet,379(9822), 1256-1268. Finley, J. W. (2006). Bioavailability of selenium from foods.Nutrition reviews,64(3), 146-151. Reid, M. E., Stratton, M. S., Lillico, A. J., Fakih, M., Natarajan, R., Clark, L. C., & Marshall, J. R. (2004). A report of high-dose selenium supplementation: response and toxicities.Journal of Trace Elements in Medicine and Biology,18(1), 69-74. Flores-Mateo, G., Navas-Acien, A., Pastor-Barriuso, R., & Guallar, E. (2006). Selenium and coronary heart disease: a meta-analysis–.The American journal of clinical nutrition,84(4), 762-773. Ju, W., Li, X., Li, Z., Wu, G. R., Fu, X. F., Yang, X. M., ... & Gao, X. B. (2017). The effect of selenium supplementation on coronary heart disease: A systematic review and meta-analysis of randomized controlled trials.Journal of Trace Elements in Medicine and Biology,44, 8-16. Wojcicki, J., Różewicka, L., Barcew-Wiszniewska, B., Samochowiec, L., Juiwiak, S., Kadłubowska, D., ... & Juzyszyn, Z. (1991). Effect of selenium and vitamin E on the development of experimental atherosclerosis in rabbits.Atherosclerosis,87(1), 9-16. Bleys, J., Navas-Acien, A., & Guallar, E. (2007). Serum selenium and diabetes in US adults.Diabetes care,30(4), 829-834. Hansen, J. C., & Deguchi, Y. (1996). Selenium and fertility in animals and man--a review.Acta Veterinaria Scandinavica,37(1), 19-30. Chiachun, T., Hong, C., & Haifun, R. (1991). The effects of selenium on gestation, fertility, and offspring in mice.Biological trace element research,30(3), 227-231. Drutel, A., Archambeaud, F., & Caron, P. (2013). Selenium and the thyroid gland: more good news for clinicians.Clinical endocrinology,78(2), 155-164. Ventura, M., Melo, M., & Carrilho, F. (2017). Selenium and thyroid disease: From pathophysiology to treatment.International journal of endocrinology,2017. Hoffmann, P. R., & Berry, M. J. (2008). The influence of selenium on immune responses.Molecular nutrition & food research,52(11), 1273-1280. Kiremidjian-Schumacher, L., & Stotzky, G. (1987). Selenium and immune responses.Environmental Research,42(2), 277-303. Hoffmann, P. R. (2007). Mechanisms by which selenium influences immune responses.Archivum immunologiae et therapiae experimentalis,55(5), 289. Rayman, M. P. (2005). Selenium in cancer prevention: a review of the evidence and mechanism of action.Proceedings of the Nutrition Society,64(4), 527-542. Puspitasari, I. M., Abdulah, R., Yamazaki, C., Kameo, S., Nakano, T., & Koyama, H. (2014). Updates on clinical studies of selenium supplementation in radiotherapy.Radiation Oncology,9(1), 125. Cai, X., Wang, C., Yu, W., Fan, W., Wang, S., Shen, N., ... & Wang, F. (2016). Selenium exposure and cancer risk: an updated meta-analysis and meta-regression.Scientific reports,6, 19213. Shor-Posner, G., Lecusay, R., Miguez, M. J., Moreno-Black, G., Zhang, G., Rodriguez, N., ... & Wilkie, F. (2003). Psychological burden in the era of HAART: impact of selenium therapy.The International Journal of Psychiatry in Medicine,33(1), 55-69. Santos, J. R., Gois, A. M., Mendonça, D. M., & Freire, M. A. (2014). Nutritional status, oxidative stress and dementia: the role of selenium in Alzheimer's disease.Frontiers in aging neuroscience,6, 206. González-Domínguez, R., García-Barrera, T., & Gómez-Ariza, J. L. (2014). Homeostasis of metals in the progression of Alzheimer’s disease.Biometals,27(3), 539-549. Hoffmann, P. R. (2008). 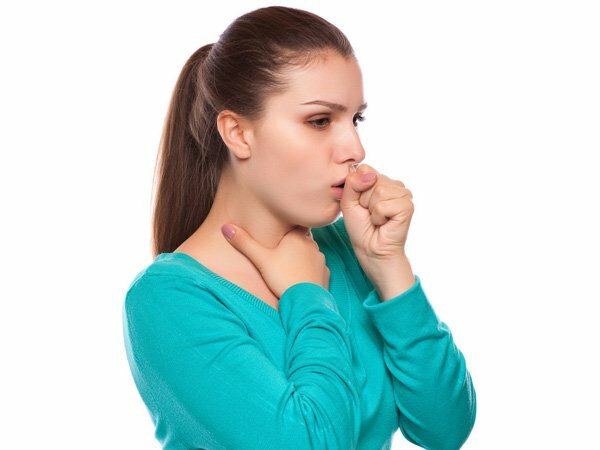 Selenium and asthma: a complex relationship.Allergy,63(7), 854-856. Norton, R. L., & Hoffmann, P. R. (2012). Selenium and asthma.Molecular aspects of medicine,33(1), 98-106. Mocchegiani, E., Malavolta, M., Muti, E., Costarelli, L., Cipriano, C., Piacenza, F., ... & Lattanzio, F. (2008). Zinc, metallothioneins and longevity: interrelationships with niacin and selenium.Current pharmaceutical design,14(26), 2719-2732. Foster, H. D., & Zhang, L. (1995). Longevity and selenium deficiency: evidence from the People's Republic of China.Science of the total environment,170(1-2), 133-139. Biesalski, H. K., Berneburg, M., Grune, T., Kerscher, M., Krutmann, J., Raab, W., ... & Schwarz, T. (2003). Oxidative and premature skin ageing.Experimental dermatology,12, 3-15. Katzman, M., & Logan, A. C. (2007). Acne vulgaris: nutritional factors may be influencing psychological sequelae.Medical hypotheses,69(5), 1080-1084. Razagui, I. B., & Haswell, S. J. (2001). Mercury and selenium concentrations in maternal and neonatal scalp hair.Biological trace element research,81(1), 1-19. Kessi, J., Ramuz, M., Wehrli, E., Spycher, M., & Bachofen, R. (1999). Reduction of selenite and detoxification of elemental selenium by the Phototrophic BacteriumRhodospirillum rubrum.Applied and environmental microbiology,65(11), 4734-4740. Yoneda, S., & Suzuki, K. T. (1997). Detoxification of mercury by selenium by binding of equimolar Hg–Se complex to a specific plasma protein.Toxicology and applied pharmacology,143(2), 274-280. Spallholz, J. E. (1997). Free radical generation by selenium compounds and their prooxidant toxicity.Biomedical and environmental sciences: BES,10(2-3), 260-270. Hamilton, S. J. (2004). Review of selenium toxicity in the aquatic food chain.Science of the Total Environment,326(1-3), 1-31. Vinceti, M., Mandrioli, J., Borella, P., Michalke, B., Tsatsakis, A., & Finkelstein, Y. (2014). Selenium neurotoxicity in humans: bridging laboratory and epidemiologic studies.Toxicology letters,230(2), 295-303.